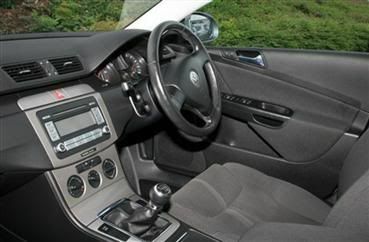 All the above shots were taken by the dealer and posted on the VW UK web site. History . . : Bought 1-Sept 2010 at just over 3 years and 3 months old with 1 previous owner. 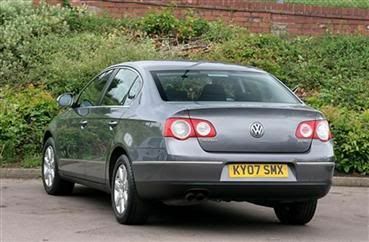 Purchased: From Stafford VW, a franchise dealer found by searching the interwebnet. Faulty air vent on dashboard. Steering wheel not pointing dead ahead when driving in straight line. Both of the above were fixed under warranty. Windscreen washers - it took 3 visits to dealer to get these fixed, and even then Andy had to complete the job. Service at 44,000 miles (on a pre-paid plan), with Cambelt change with all pulleys and water pump (due at 4 years or 80,000 miles) which cost me £400 (done with service). Sept 2011 - 4 new tyres for MoT - Avons fitted to replace rather nasty Dunlops. Sept 2011 - passed MoT (no advisories) and personally fitted new air filter. Winter weather 2011/12 saw electronic parking brake freeze on - r/h/s solenoid diagnosed as faulty, cost £333 to fix (work done by Parkway VW, Pride Park, Derby). 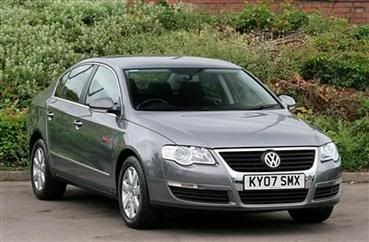 Dec 2011 - Recall by VW for possible faulty injectors. Injectors had to be removed, ID checked and replaced if from faulty batch (work done by Parkway VW, Pride Park, Derby). Service at 54,000 miles (on a pre-paid plan by Parkway VW, Pride Park, Derby). Sept 2012 - 2 new tyres after just 15,000 miles for front axle, with 4 wheel tracking done ahead of MoT. Sept 2012 - passed MoT (no advisories). Sept 2012 - Stone chip meant a new widscreen had to be fitted. From the front - I just love it. Large fuel tank (70 litres) gives nealy 700 miles between fill-ups. Eventually found it to be too big, especially when parking. The Passat finally proved too big for what I need a car for right now. Sold with just under 63,000 miles on 7th November 2012. Will be remembered for being a fast and comfortable way of getting from A to B.